Beautiful Larry Good built one owner home! 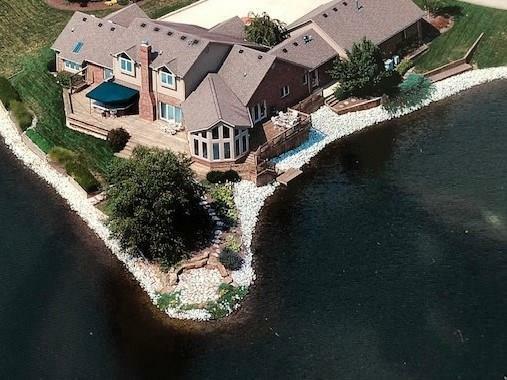 This stunning home is surrounded on two sides by water with a dock. 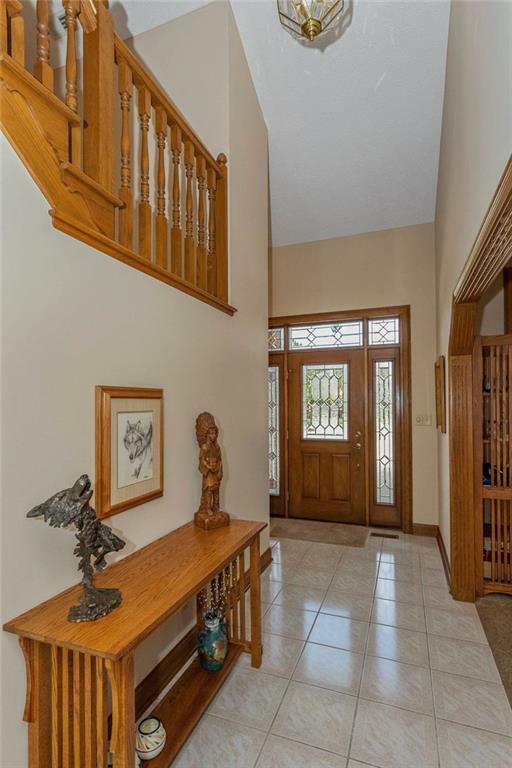 The home itself is spacious with a large sunroom overlooking the lake, large kitchen with an island plus dining area and open to the large great room. 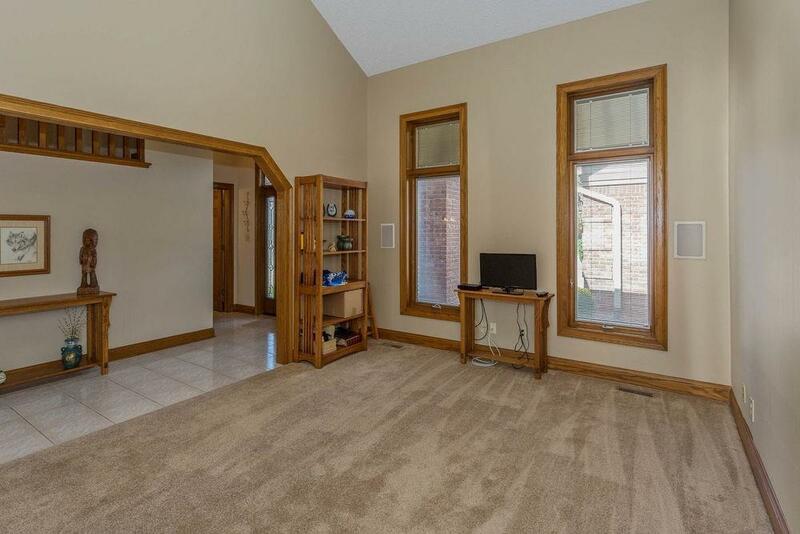 The master bedroom is on the main level with his and her closets and a master bath with walk-in shower. Upstairs is a large landing and two bedrooms sharing a jack and jill bath. The laundry room on the main level has built in's and sink. Outside you have decking surrounding two sides of the home. Excellent home for family dinners, entertaining and relaxing. 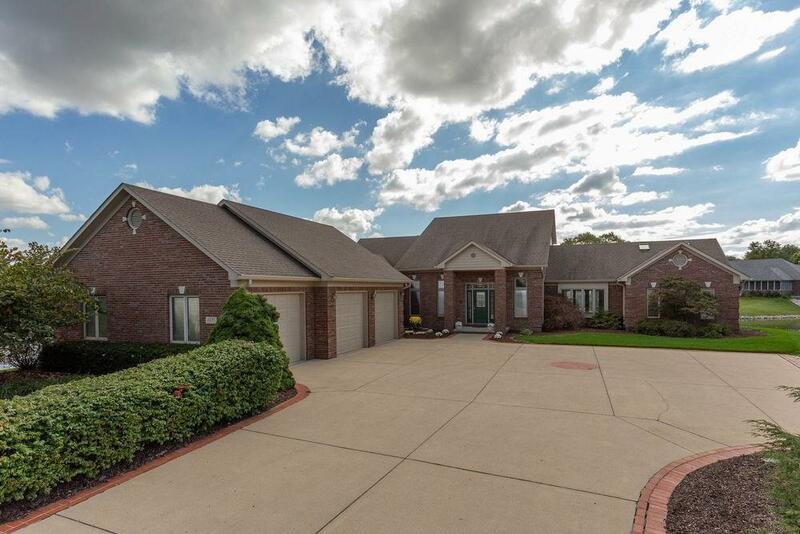 The large 3 car garage is heated and extra deep with ample parking space. All this and in a golf community!